Founded in Paris by Dr. Marcus Neumann in 2002 Avant-garde Materials Simulation SARL (AMS) is privately owned and was created with funding and strong support from a major pharmaceutical company. The company’s main goal is the development of software for crystal structure prediction (GRACE initiative). 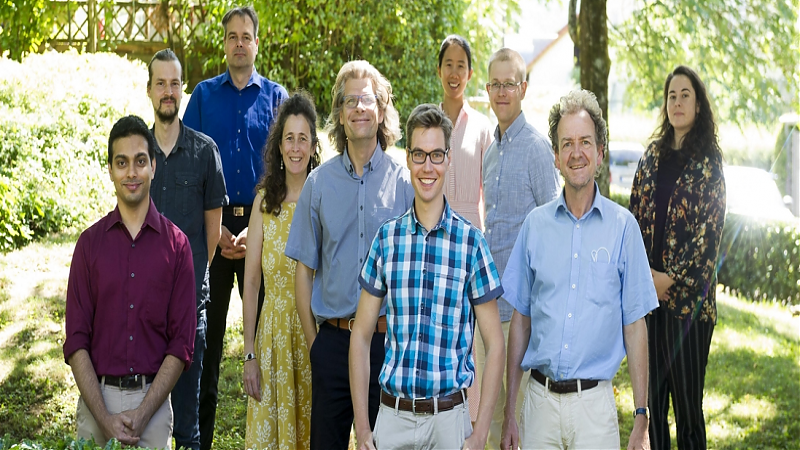 In 2007 AMS opened a subsidiary, Avant-garde Materials Simulation Deutschland GmbH, in Freiburg, Germany, where all contract research is carried out by our Team. Our clusters run on electricity from of regenerative sources. Badenova, our electricty provider, is a regional entity with a strong comittement to the local economy. We do our best to reduce our transportation related footprint. AMS owns a membership at the local car sharing company. For innercity transport and short distances we walk, take a bike or use the tram. Taking the train instead of the plane is always considered first. When we fly, we systematically offset for our carbon emissions. Our new office (May 2017) are situated in a low energy consumption building, equipped with an in house pellet heating system. Until 2015, we rented an office in the Sun Ship, the world´s first CO2 neutral public building. High performance computing clusters produce huge amounts of hot air. Rather than getting the heat out of the building by conventional air conditioning – which would significantly increase our electricity consumption – we use free cooling most of the year and swich on the air conditioning only during the summer months.